We knew that part of the patio project would be taking the siding off the back addition of the house, just to see what the foundation was doing under there. 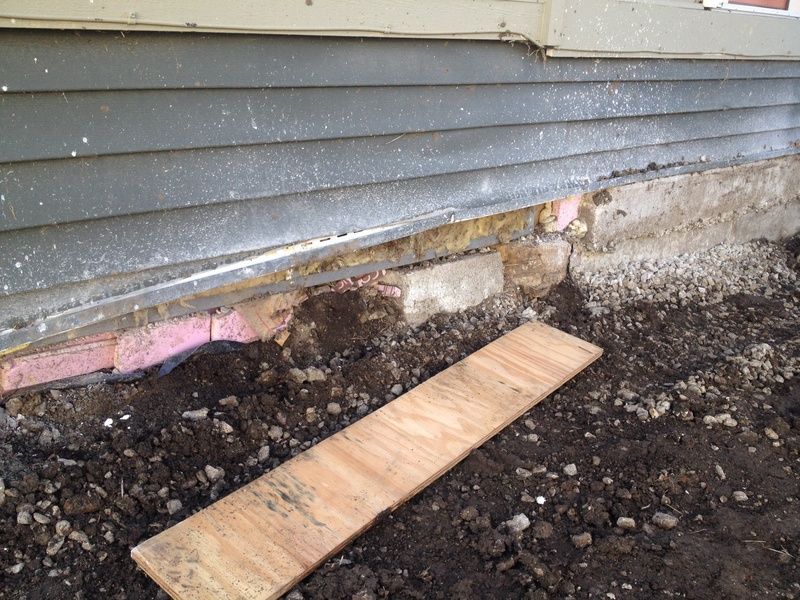 Although it wasn’t pretty, it wasn’t terrible so we were able to reinforce the foundation (and hopefully add more waterproofing), replace the siding and continue on. 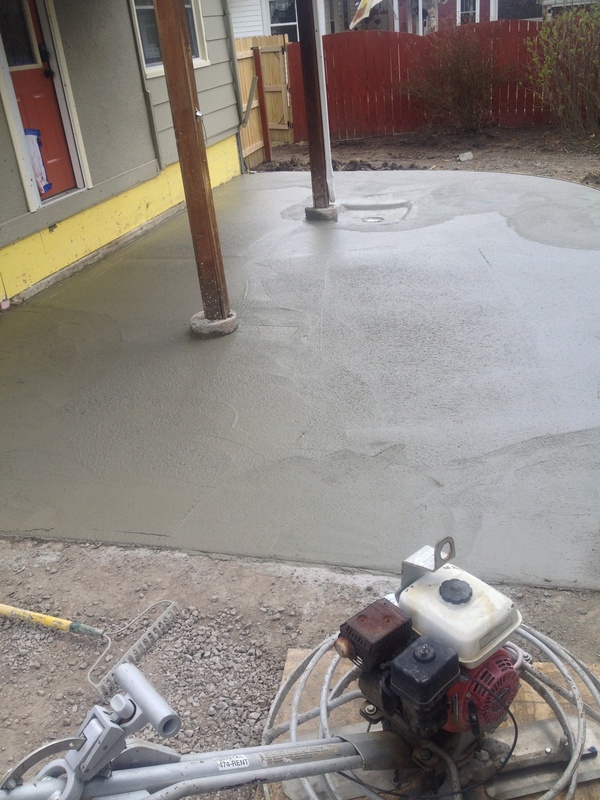 The first flush of excitement over our new, flat patio soon gave way to the realization that we had nothing but a flat concrete slab behind our house. Sure, we loved that we now had room for outdoor seating and that we could park our bikes without them tipping over but we needed to liven the space up a little. My first attempt was somewhat sad. 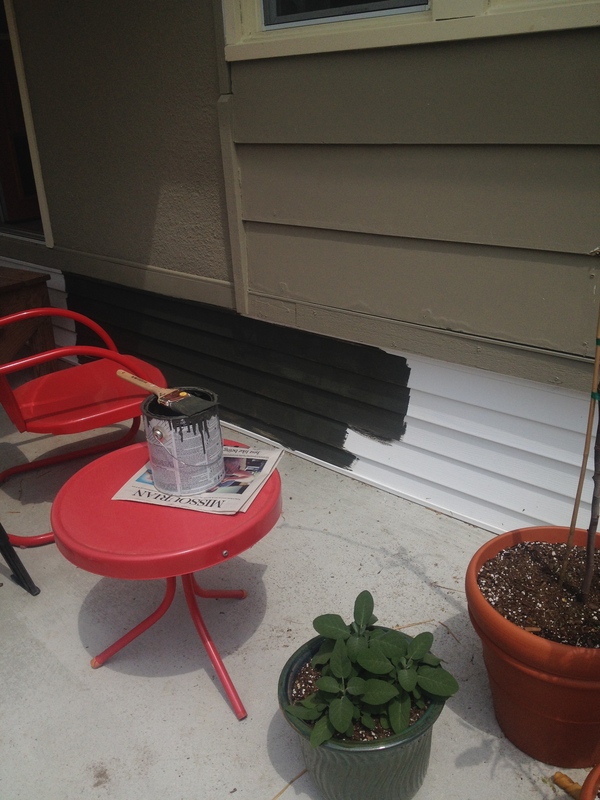 I pulled out the paint and got to work on the new siding. I tried not to think that, between all the priming and painting, this would be the fourth time I had painted this particular stretch of foundation. While the paint was open, we also pulled out all the coaxial cable. Rather than doing it right and running the cables into the basement and up into the various rooms, it was clear that the cable guy got lazy and simply ran the cable along the outside of the house. Why it was considered ok to string unattractive wires along a house and then drill through the siding was beyond us. 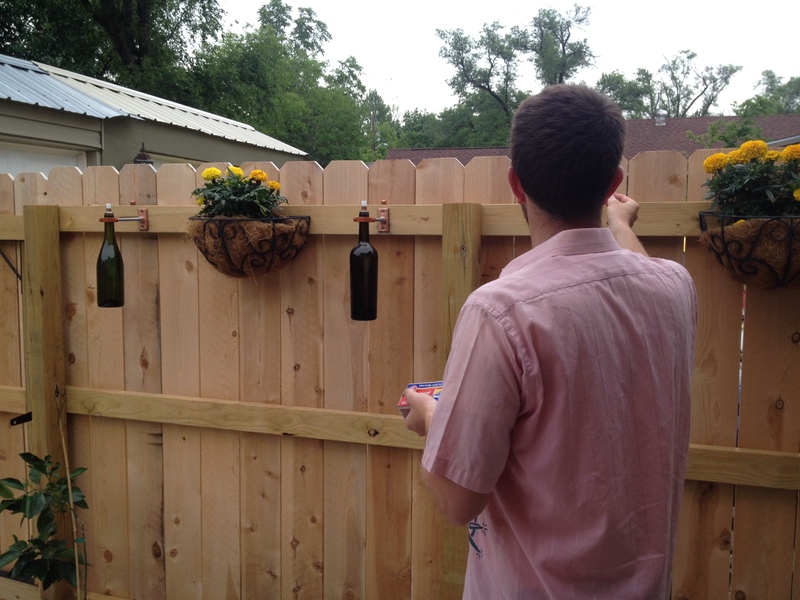 Along the new fence, Jonathan made some torchlights out of old wine bottles. Since we get a weekly Bounty Box full of veggies, a kitchen garden is thankfully unnecessary—and besides, where would we find the time? 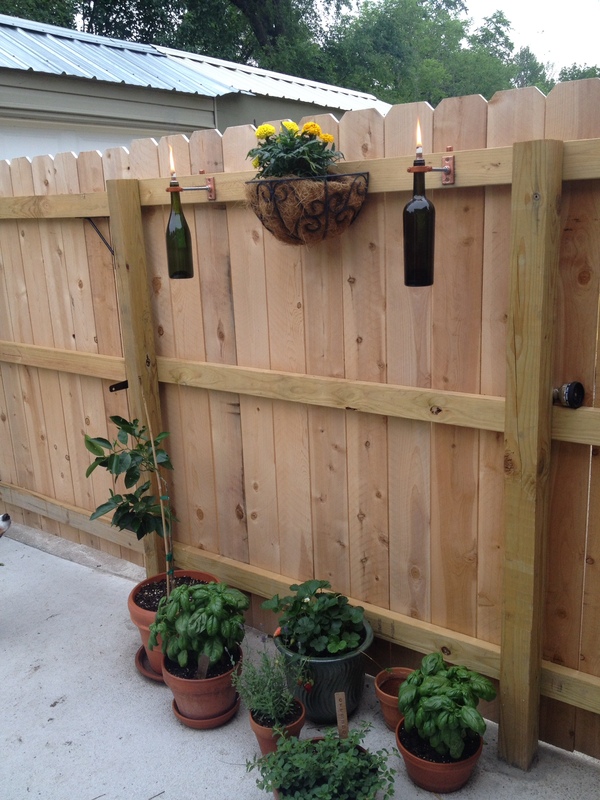 Instead, we found a sunny spot for my potted herbs, mainly oregano, thyme, lavender, and basil. 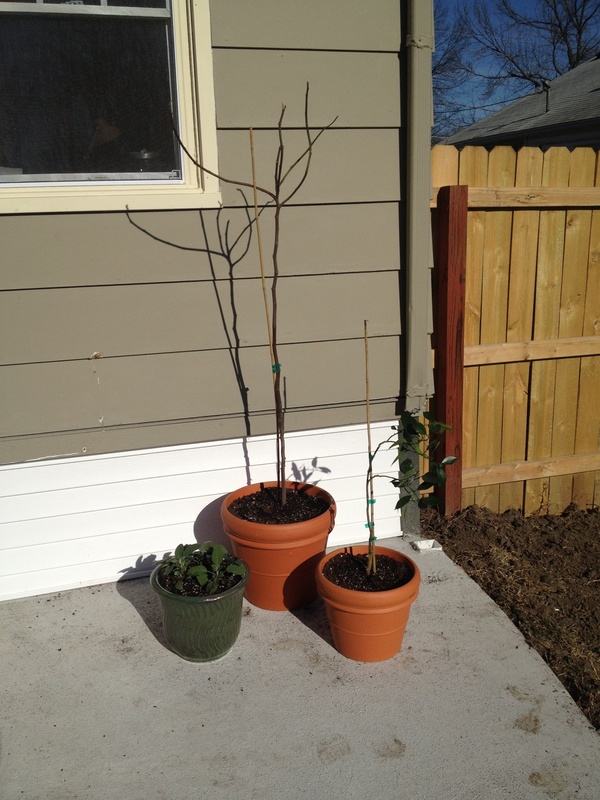 The Valencia Orange is perking up, as is the fig tree on the other side of the patio. Both are a nod to my Southern California upbringing and hopefully they’ll survive the winter if we bring in the pots. At the very least, the herbs give the patio the suggestion of productivity. 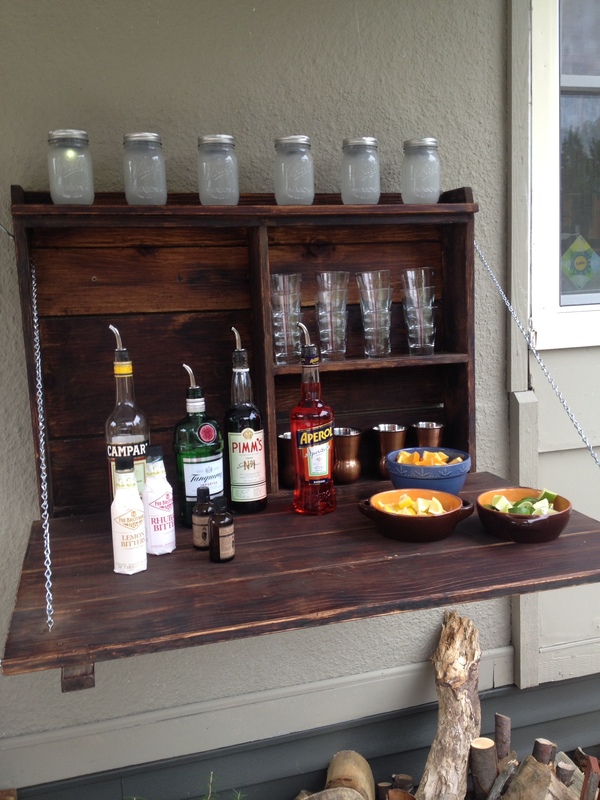 The best addition to the patio was a Murphy bar my dad made and gave Jonathan for Christmas. 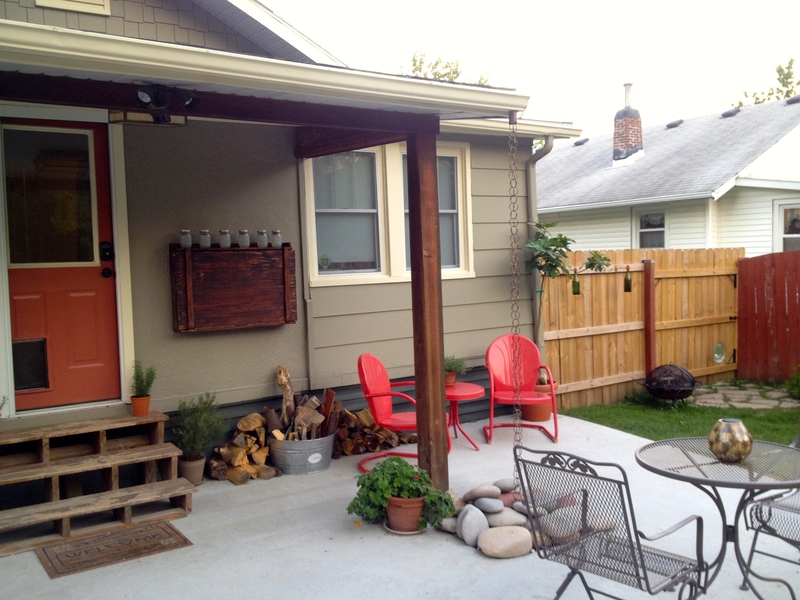 We stained it to look like an old wine barrel (and match the dark wood posts for the porch) and put it to use. At some point, Jonathan will redo the back stairs and we’ll match the stain. We still have some lingering projects but we’re already using the space more than ever and we look forward to many outdoor parties to come. 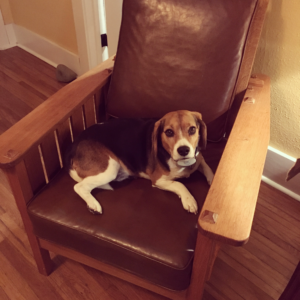 One Response to "More Patio Upgrades"